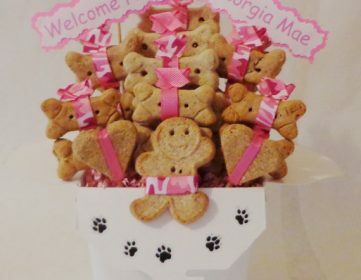 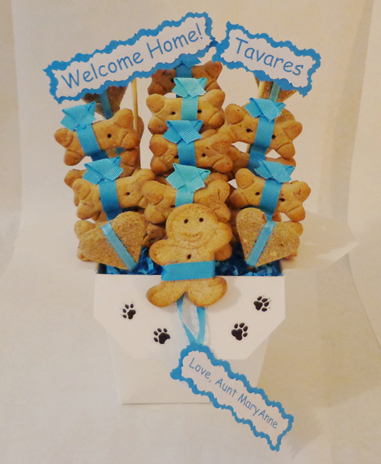 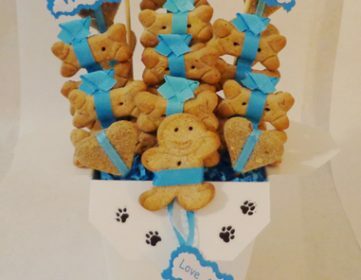 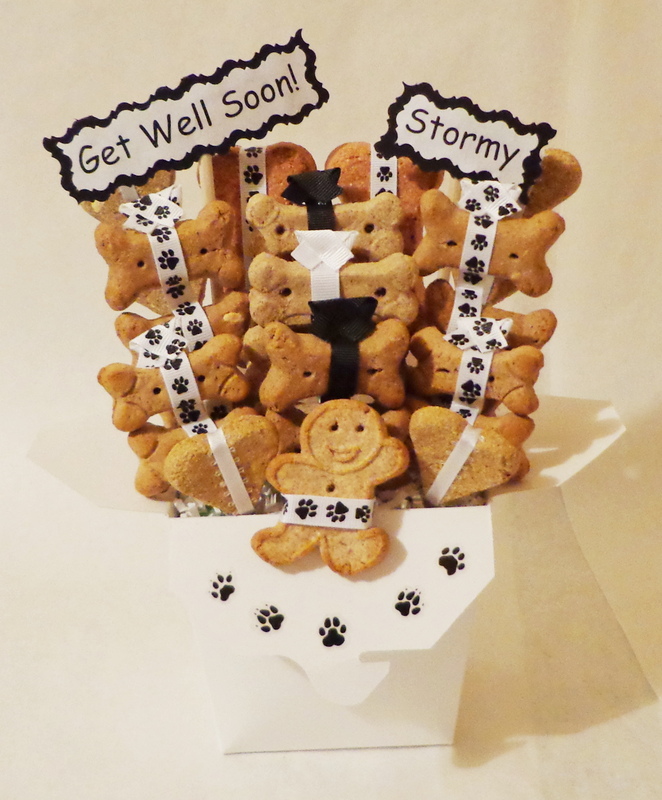 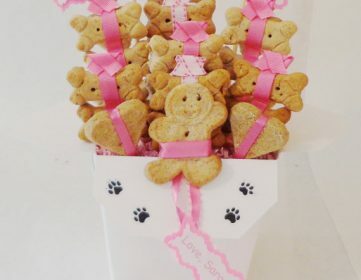 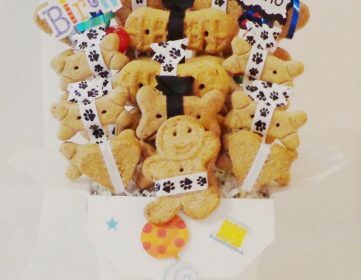 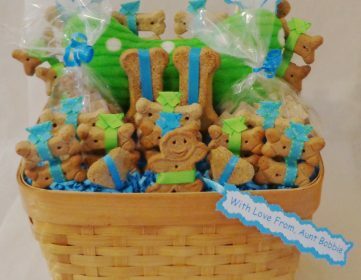 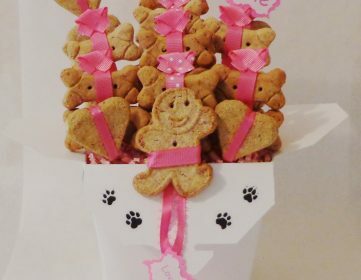 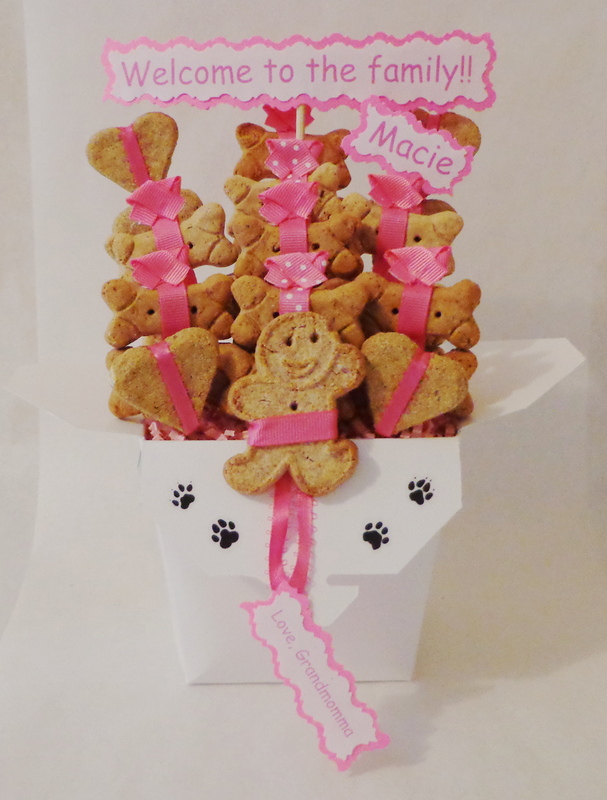 This basket contains 28-30 biscuits wrapped in colorful ribbon and presented in a Chinese take out container decorated with black paw prints. 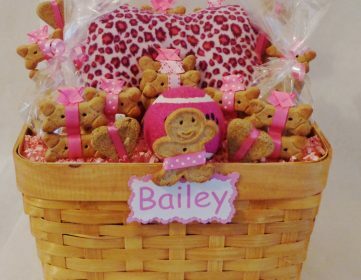 This basket is available in Turquoise, Pink and Purple. 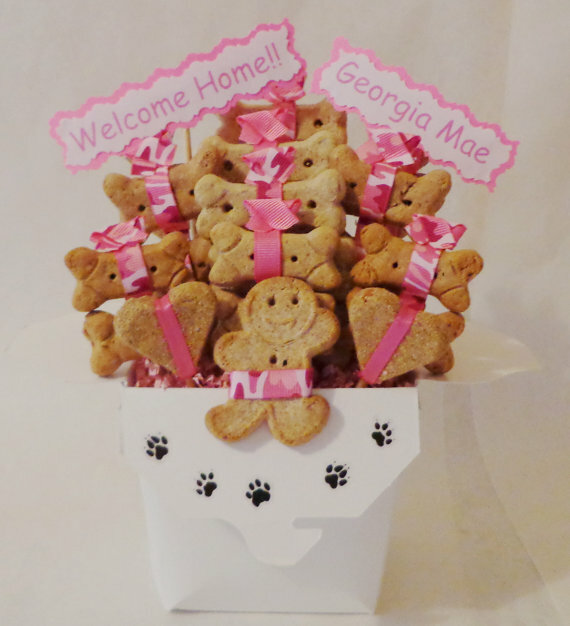 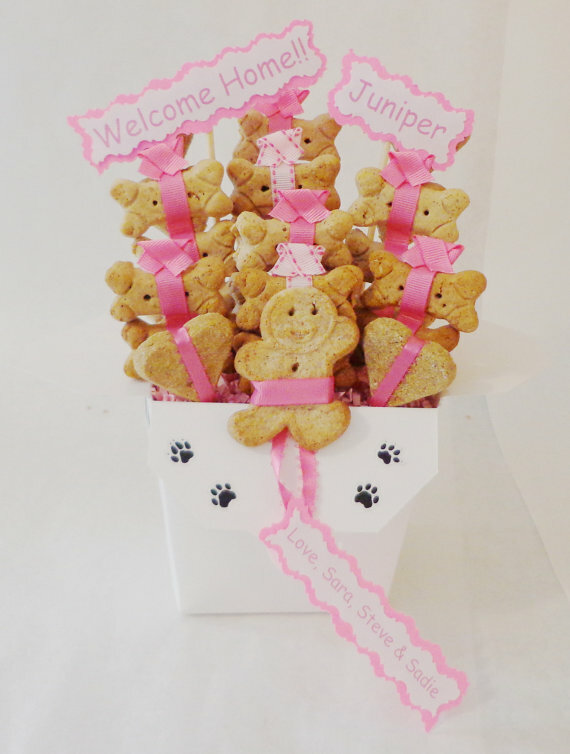 SKU: Small Dog Basket. 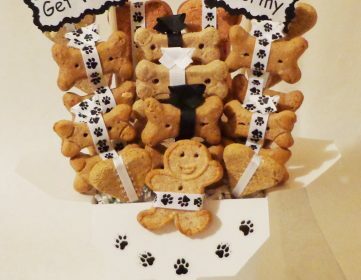 Category: Dog.